These guys haven’t even released a proper single yet, but their social following of nearly 3.5 million fans total between Facebook and Twitter is immense. The Australian quartet is out to conquer the world with this after building their base with YouTube covers and original tracks, as well as an opening spot out on One Direction‘s worldwide tour last year. “Perfect” has already garnered strong pre-order sales in the countries it’s been made available in, although fans in the U.S. will have to wait until later this year to get their hands on the goods. Australian boy bands haven’t exactly made their mark worldwide; in fact, you have to go back to the days of Wa Wa Nee and Indecent Obsession to find any sort of Stateside crossover. Nevertheless, try as they might to get a hit. They have plenty of people rooting for them. Based out of Los Angeles, this band may brand themselves as “America’s Boyband”, but does the majority of America even know about them yet? Probably not. The quintet tried to break at U.S. radio with their “Take Me Home” several months ago, and though it accumulated some minor airplay at CHR radio (#45), the five were beaten to the punch by a different song with the same title by trio Cash Cash and Bebe Rexha. So, onward and upward, as they say. If you’re a regular listener of Hits 1 on SiriusXM, they’ve been playing this on and off since July, so it’s not exactly new. Produced by RedOne, the boys are ready to party again, so long as you’ve “graduated from the school for cool.” I hear it’s pretty easy. Will they manage to finally breakthrough in a big way with their second radio cut? Let’s see what the label can do. Well, well, well. 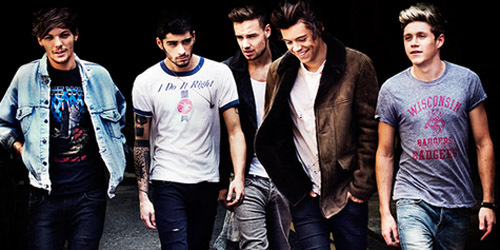 “Story Of My Life” is still building at radio here in the States, and while we’re hoping it can still reach the top of the airplay chart in a few weeks, the five lads from London are moving onto their third single and title track from Midnight Memories in Europe. (No confirmation yet on whether this will actually be the third single in the U.S. or not.) A music video for this just premiered last Friday and is already over 13 million views, which I guess is pretty standard for their clips at this point. They leave a boring house party, eat kebab, spray each other with fire extinguishers, steal a police boat, etc. You know, pretty normal stuff for a weekday night, right? It’s a fun tune, even if it does sound like Def Leppard‘s “Pour Some Sugar On Me”. Hey, it’s all about having a good time. This one is real good. Time to rock out! As we know, these five guys are on their way out, but don’t you worry. 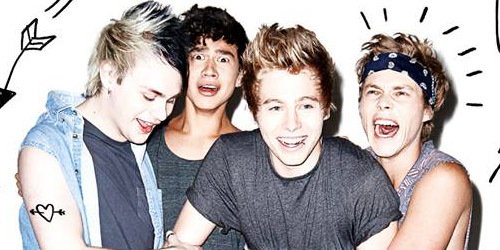 There’s still one more single to be lifted off their recent album, Word Of Mouth, titled “Glow In The Dark”. The schedule out of the United Kingdom notes a tentative date of March without any other specifics, so stay tuned as to if/when any special packs are announced. Plus, you know members Max George and Nathan Sykes will go solo as the media tries to pit them as the next Robbie Williams and Gary Barlow, respectively. Perhaps things will turn positive for them once again in this in-between time. This song is your typical EDM banger and there’s nothing real distinct about it; however, if it weren’t for this being the band’s last release for some time, it probably would’ve been a full-out flop. Expect it to do some action once a date is announced. Which one of these four bands’ newest singles has the most potential to do well, and like, totally rules your playlist? Let me know! Follow the blog below or hit the “Get Social!” tab to find out how you can connect with PGTC on social media. Are you “Glad” they’re back? British boy band The Wanted are charging ahead with their next studio album, titled Word Of Mouth, and the second single from it is now here. “We Own The Night” follows their recent “Walks Like Rihanna”, which did fairly well in the United Kingdom, but didn’t chart here in the States. On the season (and probably series) finale of The Wanted Life, their recent reality show on E!, the boys previewed a one minute clip of their new song. It will be released on iTunes worldwide on August 11. Enjoy! Listen to the premiere of “We Own The Night”. There must be a full moon coming real soon because this can’t be just a coincidence. There are now four current or forthcoming singles at four words in length, all about doing something to “the night”. You can’t make this up. Two are by solo males and two are by groups, and all of them have had prior success to varying degrees. Can they all share the top 40 territory or will it be a fight in the moonlight? Let’s catch up with these new nocturnal necessities. The Latin heartthrob and singer with decades of success is back with this new song, the first from a forthcoming album that will be three years in the making. His last, Euphoria, was a bilingual effort. 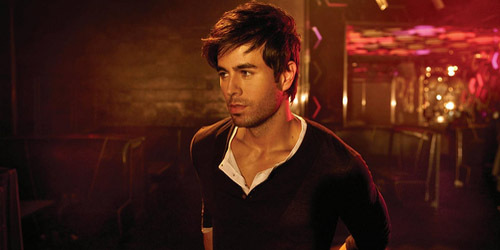 Though Iglesias had a major comeback on the pop chart in 2010 with “I Like It” and “Tonight (I’m Lovin’ You)”, he’s been hit or miss ever since, possibly due to the fact that he’s overly relied on featured rappers to add a break to the song. The last of them, “Finally Found You”, with Sammy Adams, was a minor hit last year. 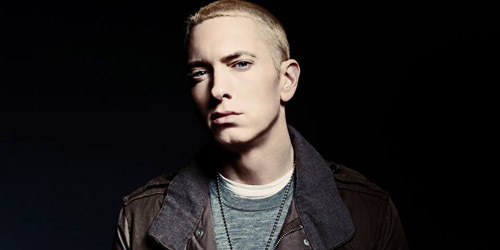 However, this looks to be his first single to be serviced to the format in six years that he appears on alone, so it will be interesting to see if he’s capable of taking a song into the upper rungs of the chart by himself. Produced by The Cataracts, watch out for this dance song to hit the airwaves in the coming days. He’s hot and he’s not wasting any time! Just months after releasing The 20/20 Experience, featuring the smashes “Suit & Tie” and “Mirrors”, Timberlake is out with the leadoff single from The 20/20 Experience Part 2, due in stores on September 30 (thanks to the GRAMMY eligibility period ending on that day.) “Take” premiered Friday via an hourly deal with Clear Channel radio stations, and given that, its statistics for the week on the airplay surveys are heavily inflated. At iTunes, the song is sitting at #11, which seems like a tepid response given the rollout it received. However, with that album coming in two-and-a-half months, this will continue to build for some time. Hey, it’s Justin Timberlake. How can it flop? (Well, it can, but I don’t think it will.) Back in a retro feel, he’s got another winner and is the leader at the moment. This Chicago trio consisting of sisters Jahan and Yasmine Yousaf and Kris Trindl is preparing for the release of their first full-length album, rumored to be titled Get Wet. That’ll be out in September, but the first official single from it was issued to radio and released digitally a couple of weeks back. 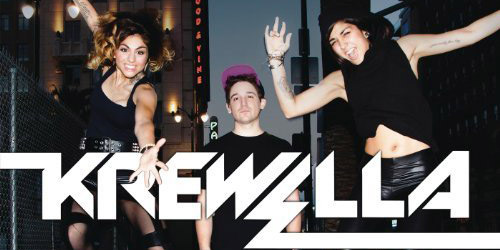 “Live” is Krewella‘s second overall single to go to mainstream radio following “Alive”, their breakthrough, which spent a few weeks in the top ten before crashing down. At the moment, it’s only on a handful of stations, but that should pick up as the summer progresses. Though it was the first of the four to be released, they are also the least established act of the bunch, and their latest song has a harder sound than their last hit; it’s good for the clubs, but not necessarily for the radio. Will it suffer or will it succeed? Time will tell with this one. Doesn’t somebody want to be Wanted? 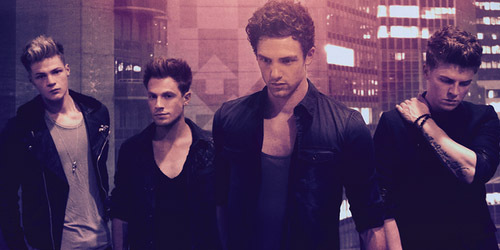 The band’s last single, “Walks Like Rihanna”, was a top five hit in the United Kingdom, but wasn’t promoted in the United States beyond a quiet digital release and never charted. Their reality series, The Wanted Life, has only picked up a small audience in the few weeks it’s been on the air, averaging about 690,000 viewers per episode. A preview of this song was heard on the last episode that aired Sunday night, but a definitive release date for the full song isn’t known yet. Based on their recent history at CHR radio, including a song that failed to make the top 40 (“I Found You”), I don’t have high hopes for this one. Then again, maybe the song will be good enough and the audience can respond to it. 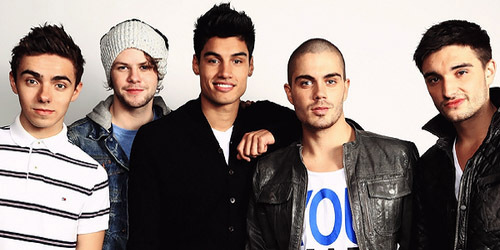 Still, “Glad You Came” will always be their signature song in America. Look for more U.S. release date news in the next few weeks or so. Which song do you think will win out in airplay and in downloads? Let me know! Comment below or find me on Twitter: @AdamFSoybel. It’s no surprise that the world of reality television is getting stale. Really stale. The music competition shows that once ruled the airwaves are showing signs of fatigue and the new crop of weekly shows that center around party people, pregnant teenagers and other privileged individuals are just bad. However, we also have the category of reality shows centering around singers and groups who want to have the cameras film their every move because their new material isn’t moving copies and they need to so that they can pay back their record group in order for the label to inevitably buy new coffee mugs for the office. Sound familiar? That’s sort of how it goes, at least in the more desperate situations. Two recent shows have been failing to meet the expectations in the ratings department for acts that have rather large fan bases, and so, another things that needs to stop: boy bands doing reality shows. This is clearly not the first time boy bands have been featured on a weekly television show. Both the Jackson Five and the New Kids On The Block had Saturday morning cartoons, but both never made it beyond a second season. You’ll also remember ABC’s Making The Band, which started airing in 2000 with the help of hot manager at the time and now convict Lou Pearlman. The first season formed O-Town, who had two top ten singles and two albums… and two more seasons of the show on MTV, which probably weren’t needed but the producers thought they could sustain audience by showing them performing and doing every day actions. The group broke up in 2003. A similar reality show took place in 2007 that tried to form a new version of Menudo, but that also floundered, and a single by the group barely cracked the top 40 on one radio format. They were done by 2009. In the summer of 2012, E! began airing Married To Jonas, a series created by Ryan Seacrest Productions that followed Kevin Jonas of the Jonas Brothers and his wife Danielle Deleasa in their lives. The series also followed a musical comeback by the three brothers, first playing in concert (season one) then recording an album and releasing a single with a subsequent music video (season two). While the series initially did well, the ratings began to tank about halfway into its first season, going from a high of 2.21 million viewers to a low of just 720,000 in the next-to-last episode. By some miracle, it was renewed to even worse results. It debuted with 990,000 viewers this past April, sinking to a low of 570,000 just weeks later. Even with a time shift from 10:30 to 10PM, nothing could help it. The single I alluded to, “Pom Poms”, leaked several days before its official premiere, but quickly went top ten on iTunes on its release day before nosediving off the charts. It also received little radio airplay. As an independent project, it couldn’t be sustained, and with promotion to such a reduced audience, it could’ve never built itself up to be a hit. The show has yet to be cancelled, but I suspect it will be. No album release date has surfaced. 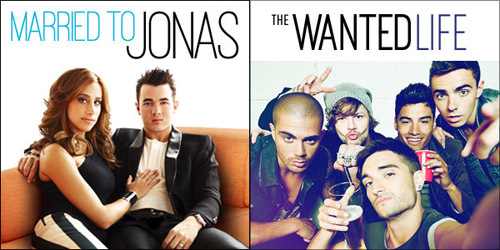 Just last week, another RSP show, The Wanted Life, debuted on the same channel and follows British boy band The Wanted fooling around in some mansion in the Los Angeles. In the first episode, we’re shown footage of them recording their tacky new single, “Walks Like Rihanna”, which sold just under 18,000 copies in its first week, amounting to a #121 debut on the Digital Songs Chart. They, unlike the Jonas Brothers, have only had one legitimately big single which struggled for months to pick up stations before suddenly breaking out. 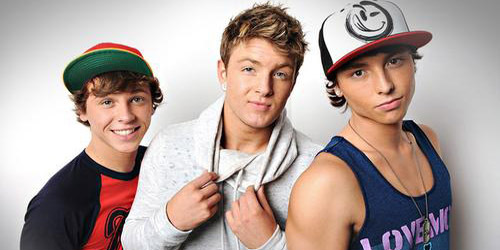 That would be the #3 Hot 100 hit “Glad You Came”; it was serviced to mainstream radio in August 2011 before finally making the top 40 in January 2012 after a performance on The Ellen DeGeneres Show. Their album came and went and so did a few other singles that didn’t chart well, and thus, the boys only managed a 600,000 viewer debut for that first episode. Oops. Sounds a little unwanted, if you ask me. Who knows what the future holds for the show? So, when a show like this flops, who is to blame? Is it the artist whose name isn’t big enough to sell a show? Is it their management for proposing the idea in the first place? Is it their label not doing enough to promote it? Is it the production crew for filming subpar footage? Is it the editing crew for piecing together a show that doesn’t work? Is it the network airing it at the wrong time on the wrong day? Maybe it’s a little bit of all of these things. What was wrong with a one-off special, a la Diary or Making The Video or Unplugged all on MTV? They might not exist for the most part, but there’s still ways to bring them back. Alas, people don’t learn. I do like some of the music by both The Wanted and the Jonas Brothers, but seriously, do I need a half hour show to tell me that Deleasa and Jonas are still in love or an hour or that The Wanted can party hard and wreck their house in an hour? Absolutely not. So, Big Time Rush (you already have a sitcom), Emblem3, One Direction and all you other boy bands out there, go ahead with your concert movies, but please, please don’t bother wasting your own time and the network’s time by trying to make a reality show. It hits all the wrong notes.